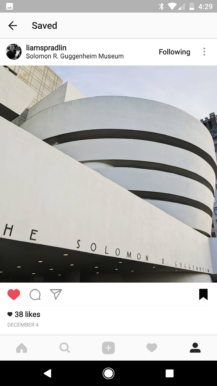 Instagram has rapidly added new features in the past few months, from Periscope-esque live streaming to Boomerang support. The latest addition to the mobile apps is not a groundbreaking change, but still very useful. 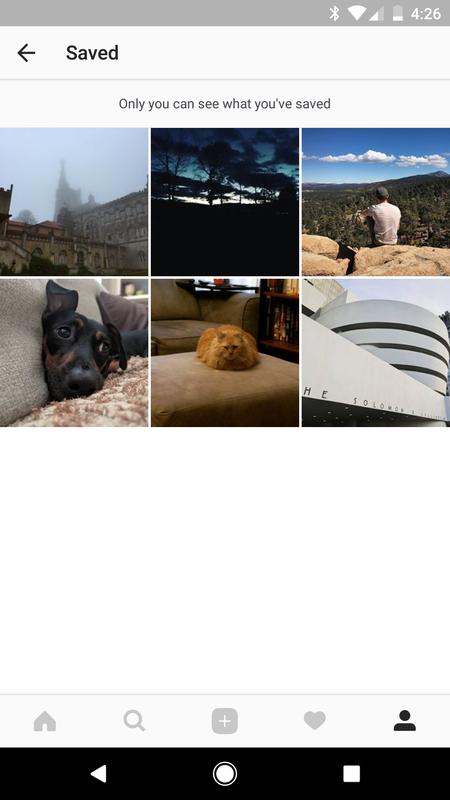 Starting with Instagram 10.3 for Android, a new 'Saved' tab is visible on the profile page. 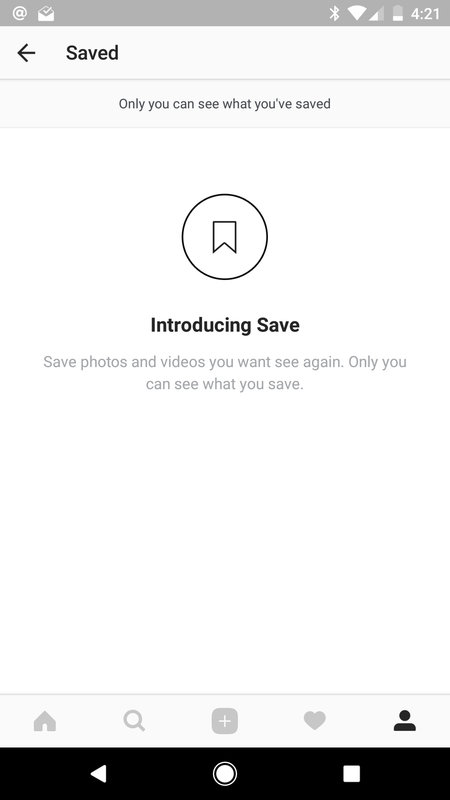 When viewing a photo or video, a new Save button is visible on the bottom right. 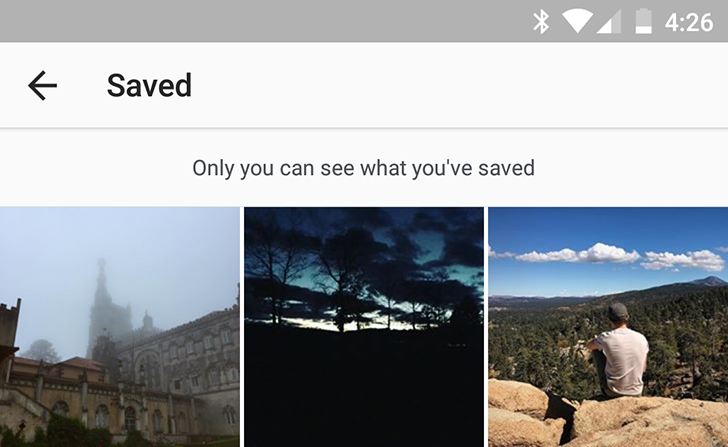 All your saved photos appear together on the Saved tab, and removing them is as easy as pressing the save button again. Your saved posts are not visible by other users, and users are not notified if their post has been saved by someone else. 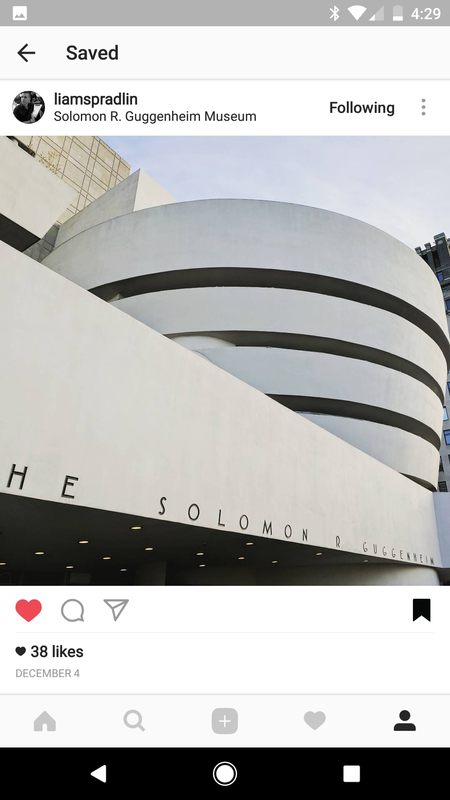 The Instagram 10.3 update is slowly going out on the Play Store, but if you're impatient, feel free to grab the update now from APKMirror.